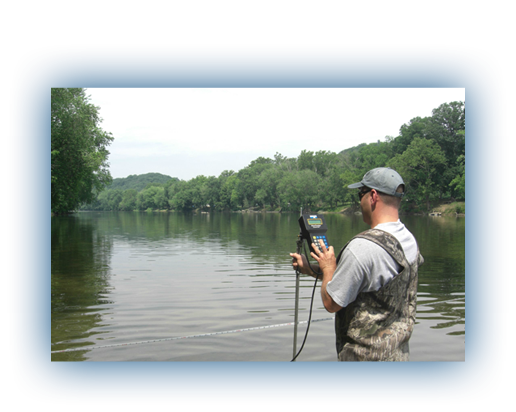 Hydrologic Data Collection (HDC) was formed in 2001 by Mr. John Coffin, a former Data Section Chief with the U.S. Geological Survey (USGS) Water Resources Division. After retiring from the USGS, Mr. Coffin recognized the need for a private-sector firm that specialized in the field collection, computation and delivery of superior-quality hydrologic data. Tapping his water resource knowledge and over 30 years of USGS experience, Mr. Coffin has expanded the company to include offices in Florida and Virginia, and has built an unrivaled team of water resource monitoring experts. The staff includes 2 former USGS senior hydrologists, 9 former USGS senior hydrologic technicians, a Professional Geologist, and Specialists in Groundwater, Surface Water and Water Quality. The knowledge and experience of HDC’s staff makes the company who it is. With over 350 years of combined USGS experience, and over 100 years of experience in the private sector, HDC is able to handle nearly any water resource monitoring project. Most staff members have at least 30 years service with the USGS in surface water and groundwater hydrology and are extremely experienced in the collection and computation of surface water, water quality, ground water and meteorological data. Our staff is directly involved in all aspects of surface water hydraulics including selection of gaging station locations, station installation and ongoing maintenance, field data collection, computation, processing, and publication of finalized data. Our client list includes: St. Johns River Water Management District, Suwannee River Water Management District, Southwest Florida Water Management District, Florida Department of Transportation, Florida Department of Environmental Protection, Alachua County, Lee County, Manatee County, Pinellas County, Sarasota County, City of Gainesville, Tampa Bay Water, Nestle's Water, AECOM, Environmental Consulting and Design, King Engineering, PBS&J, Professional Service Industries and Vanasse Hangen, Brustlin, Inc. In 2010, HDC expanded its services to the mid-Atlantic region by opening an office in Alexandria, VA. The company is a Virginia SWaM-certified small business, and qualifies as a veteran-owned small business. The unrivaled experience and expertise of HDC’s staff, coupled with our uniquely efficient business model, allows us to provide our customers with the highest quality hydrologic data, with rapid turnaround, at a price that will keep projects within budget.